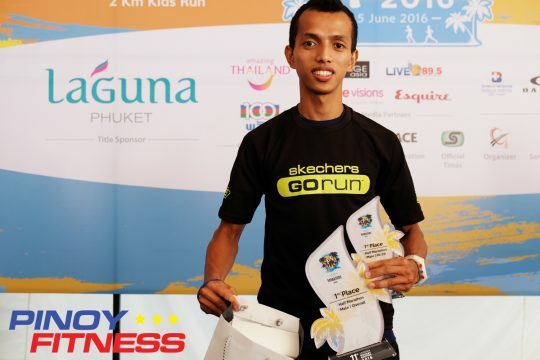 Pinoy athlete Richard Salaño and Lany Cardona takes home the top spot at the recently concluded Laguna Phuket International Marathon last June 5 in Phuket, Thailand. 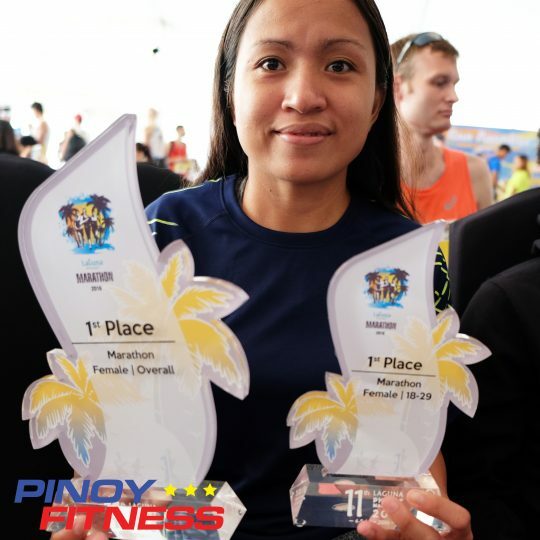 As part of the incentive of top local athletes, 7-Eleven Philippines sends their 21KM and 42KM podium finishers of their yearly 7-Eleven Run to an international race to compete and to represent the Philippines. This year, 7-Eleven Philippines sponsored 11 athletes (from left to right), Argel Joseph Mendoza (42K), Eugene Postrado (42K), Richard Salaño (21K), Mario Maglinao (42K), April Rose Diaz (42K), Lany Cardona (42K), Christabel Martes (21K), Jhoan Banayag (21K), Mark Anthony Oximar (21K), Gregg Vincent Osorio (21K), Nhea Ann Barcena (21K). The 2016 Laguna Phuket Marathon attracted over 6,000 participants from 54 countries, making it truly an international race. It was a tough battle for the 42K category, Koji Nishizawa (02:37:53) from Japan won the male division, besting our defending champ Mario Maglinao (02:49:54), while Pinoy athlete Lany Cardona won the women’s division with an impressive marathon time of 03:23:00. Richard Salaño on the other hand bested everyone in the 21K male divison, taking the top spot with a half-marathon time of 01:15:18. The Philippines also dominated the 21K division, taking four of the top six spots. We can clearly say they our country was truly well represented by these athletes, hats off to everyone and thank you 7-Eleven Philippines for sending our athletes. Congratz to all winners and finishers….